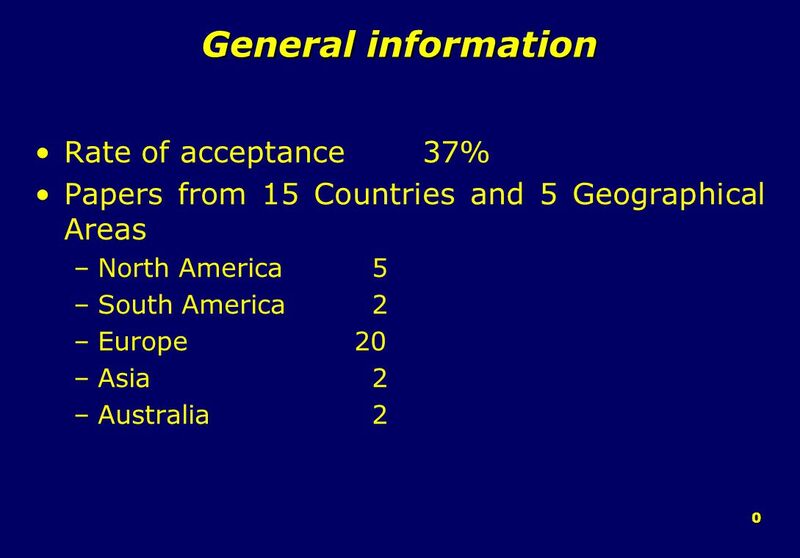 0 General information Rate of acceptance 37% Papers from 15 Countries and 5 Geographical Areas –North America 5 –South America 2 –Europe 20 –Asia 2 –Australia. 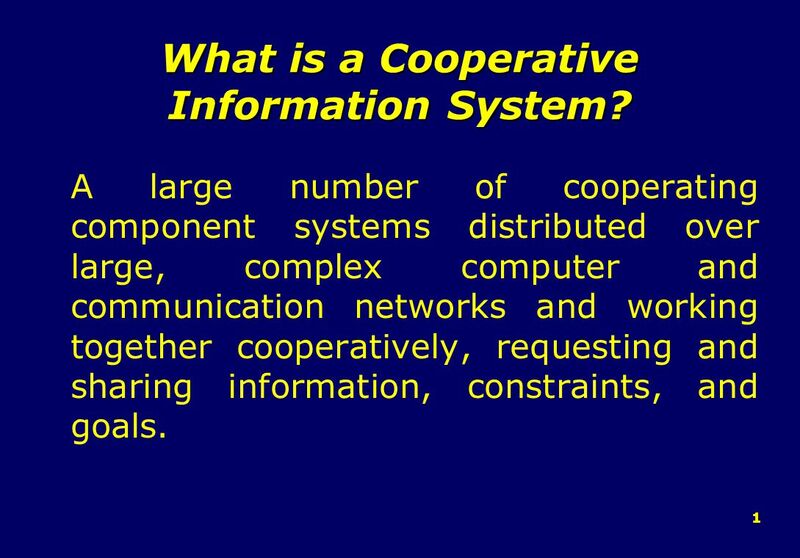 2 1 What is a Cooperative Information System? 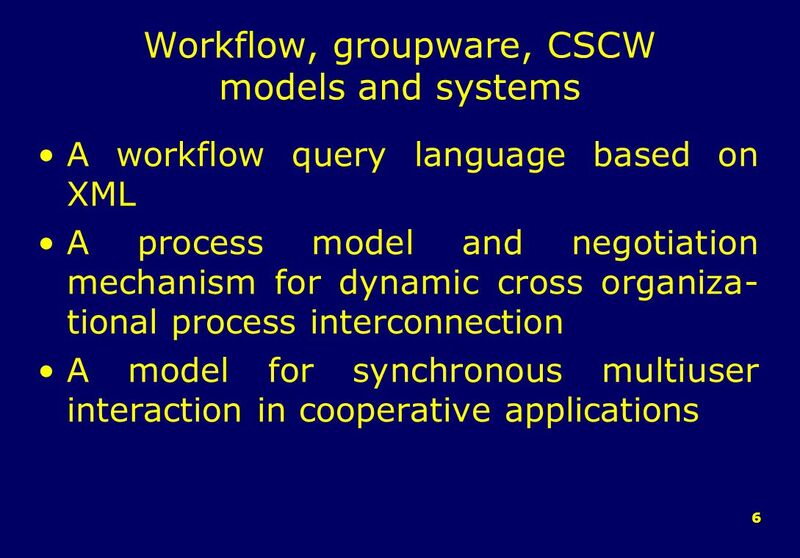 A large number of cooperating component systems distributed over large, complex computer and communication networks and working together cooperatively, requesting and sharing information, constraints, and goals. Download ppt "0 General information Rate of acceptance 37% Papers from 15 Countries and 5 Geographical Areas –North America 5 –South America 2 –Europe 20 –Asia 2 –Australia." 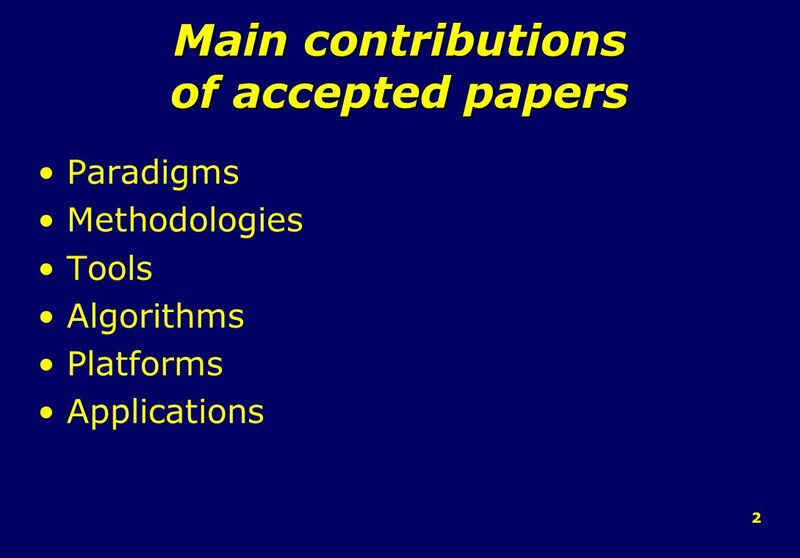 Ontology-Based Computing Kenneth Baclawski Northeastern University and Jarg. 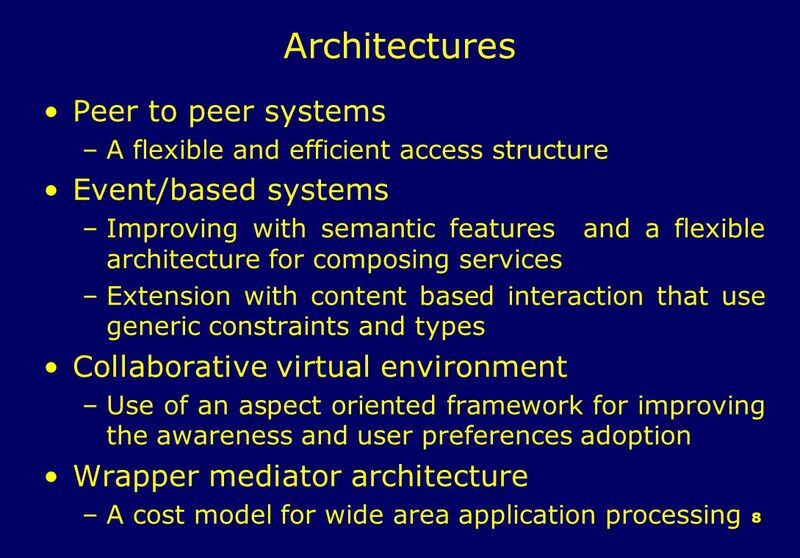 2 Introduction A central issue in supporting interoperability is achieving type compatibility. Type compatibility allows (a) entities developed by various. 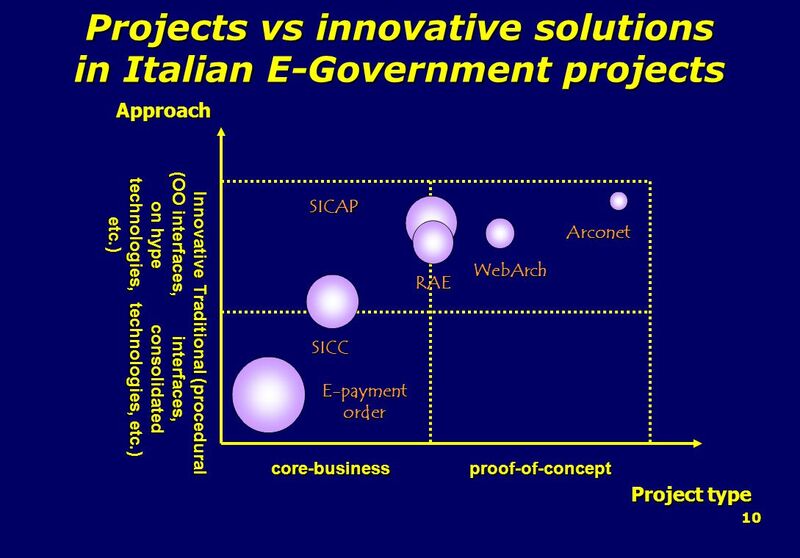 DELOS Highlights COSTANTINO THANOS ITALIAN NATIONAL RESEARCH COUNCIL. Interoperability of Distributed Component Systems Bryan Bentz, Jason Hayden, Upsorn Praphamontripong, Paul Vandal. 1 Introduction to XML. XML eXtensible implies that users define tag content Markup implies it is a coded document Language implies it is a metalanguage. Latest techniques and Applications in Interprocess Communication and Coordination Xiaoou Zhang. 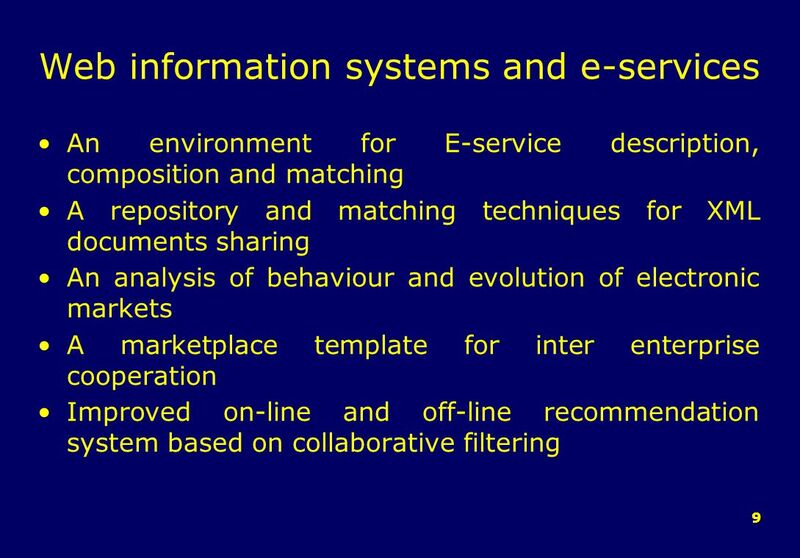 21 21 Web Content Management Architectures Vagan Terziyan MIT Department, University of Jyvaskyla, AI Department, Kharkov National University of Radioelectronics. Semantic Web Fred Framework and Demonstration or ‘my PhD-Thesis in 30 min’ Michael Stollberg, 14-Dec-2004. Eindhoven Universityof Technology The Netherlands. Semantic Web Presented by: Edward Cheng Wayne Choi Tony Deng Peter Kuc-Pittet Anita Yong. Copyright © 2011 Pearson Education, Inc. Publishing as Pearson Addison-Wesley Chapter 2 Overview of Database Languages and Architectures. 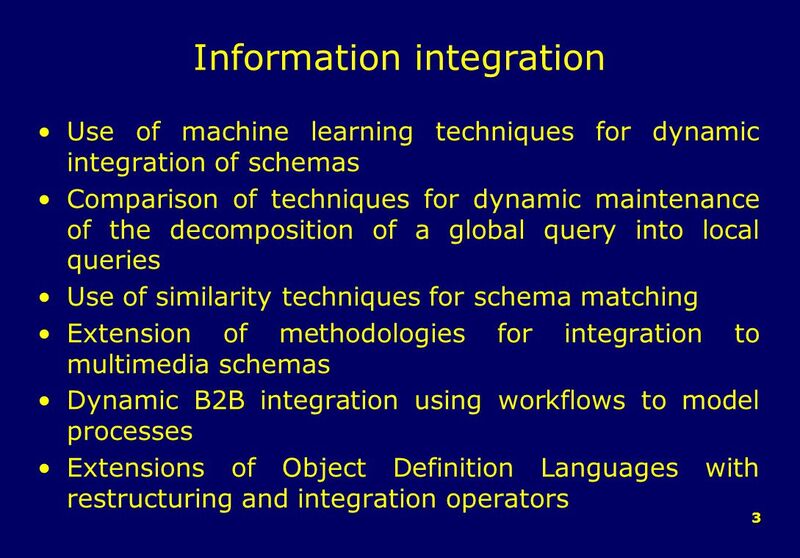 Semantic Web and Web Mining: Networking with Industry and Academia İsmail Hakkı Toroslu IST EVENT 2006. 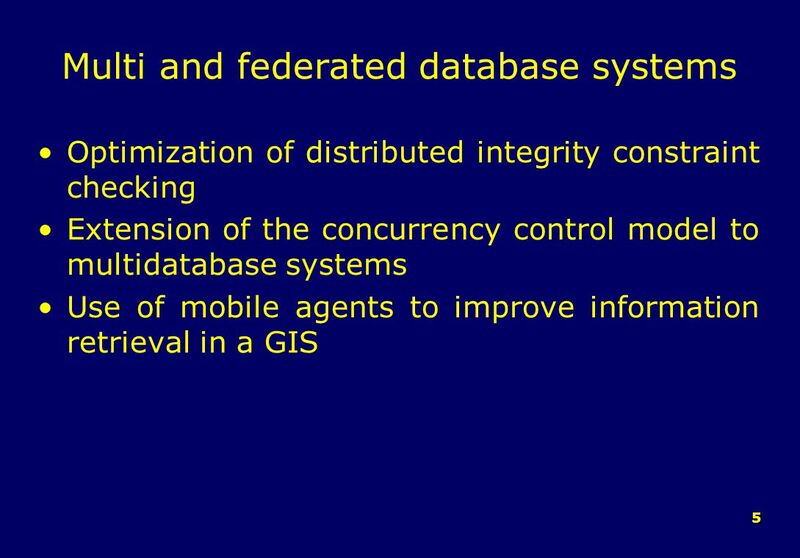 Data and Applications Security Developments and Directions Dr. Bhavani Thuraisingham The University of Texas at Dallas Secure Knowledge Management: and.